Want to infuriate a pro-abort? 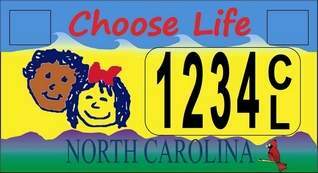 Make “choose life” license plates available for people to buy. Never mind that no one is required to purchase one. Never mind that having them available is merely giving someone a choice to publicly express their beliefs on a contentious subject. The mere fact that these license plates are available infuriates abortion advocates. Pro-lifers evidently shouldn’t even be able to publicly proclaim themselves as pro-life. At RH Reality Check Andrea Grimes uncovered some absolutely horrifying, outrageous news this week: the sales of “choose life” license plates in Texas have raised — are you ready? — tens of thousands of dollars for crisis pregnancy centers and adoption agencies. Tens of thousands! Truly, this is an outrage. Less than $50,000 will be donated to help pregnant women who, perhaps, don’t feel so great about killing their unborn children. And that money was freely given, raised by Texans who willingly chose to purchase the license plates. It wasn’t just taken out of taxpayers’ pockets without giving them any choice in the matter… like, say, federal funding for Planned Parenthood, which Grimes, of course, doesn’t mention. Planned Parenthood received over half a billion dollars from taxpayers last year. But under $50,000 in donations — donations — going towards abortion alternatives? How awful!